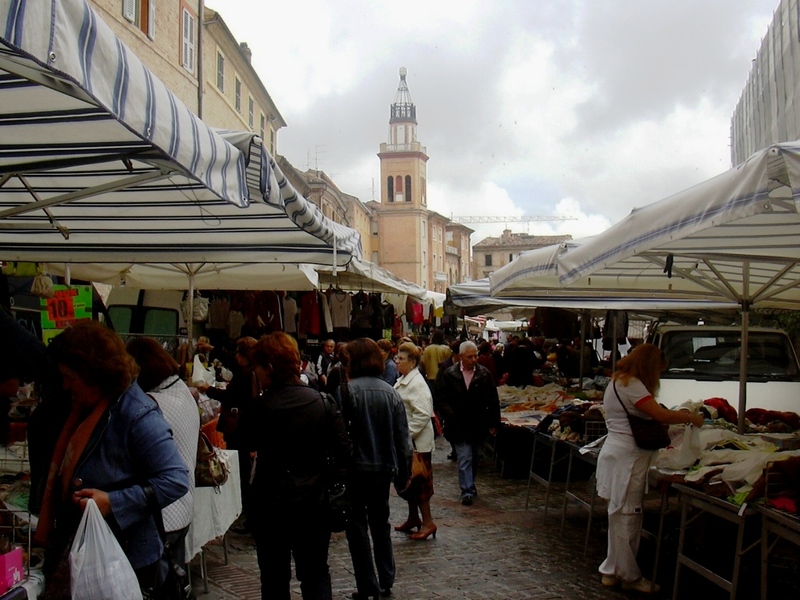 While we were attending the school in Castelraimondo, we cut class on Wednesdays to go to the markets in Macerata. 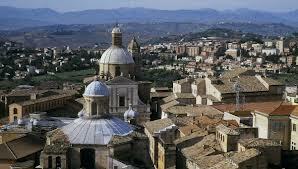 First thing Wednesday morning we would walk into the town and take the train to Macerata. 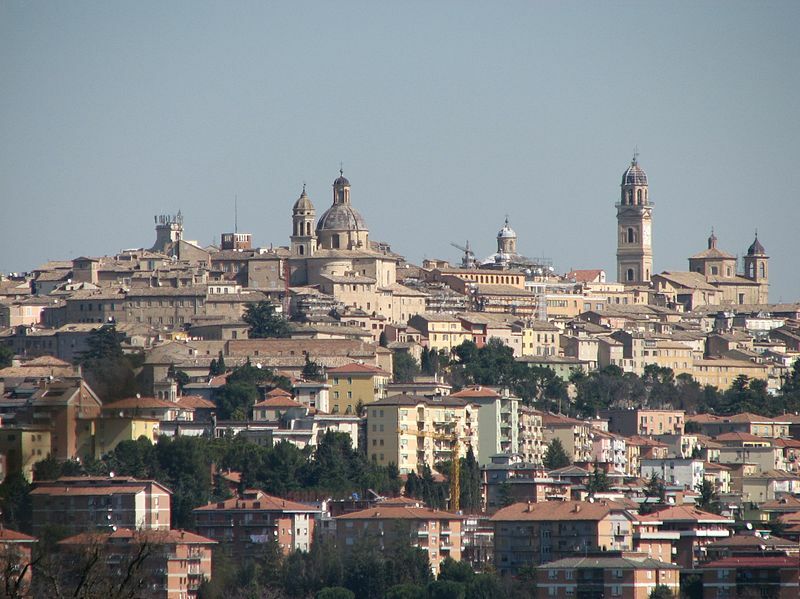 The train ride takes about an hour, then from the train station in Macerata we walked up the hill to the markets. 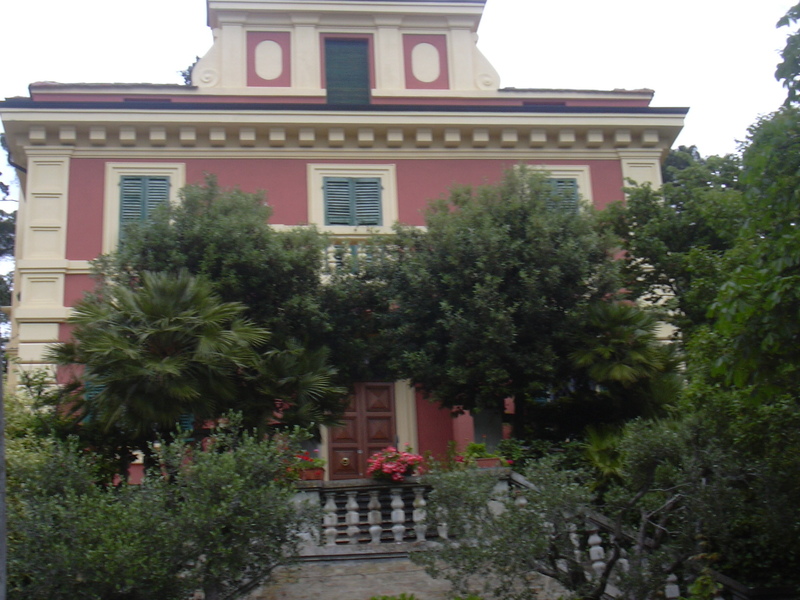 It is quite a tough climb up the hill to the centre and to the markets. You may find it easier to take a taxi. 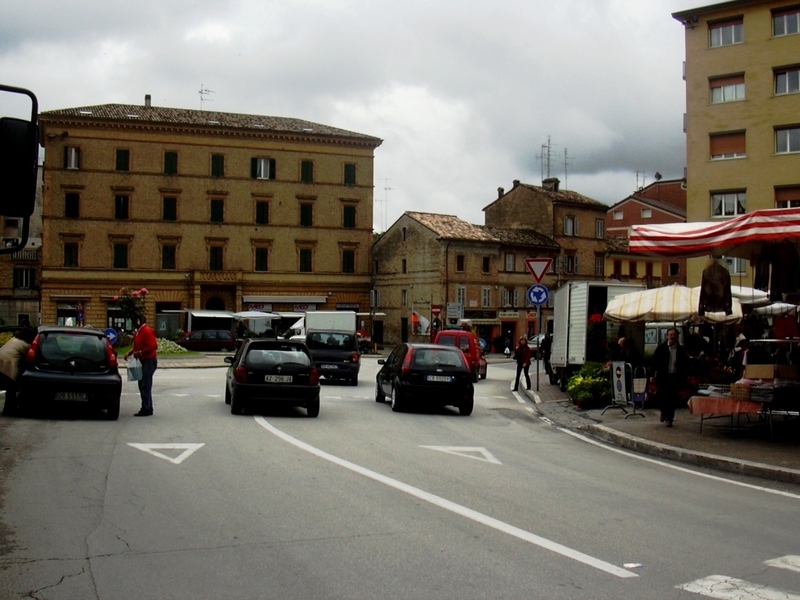 When we were renting the house in Pievebogliana we drove our rental car to Macerata which took about 40 minutes. We found parking to be quite easy although it was a bit of a walk to the markets. 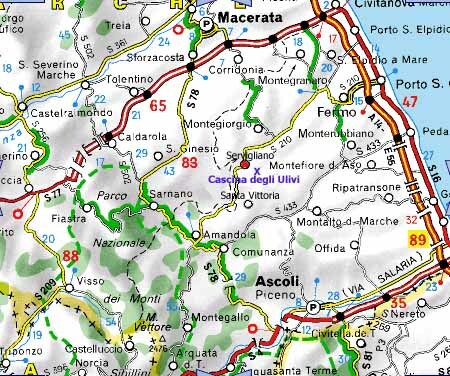 Macerta is about 30 k’s from the Adriatic coast. 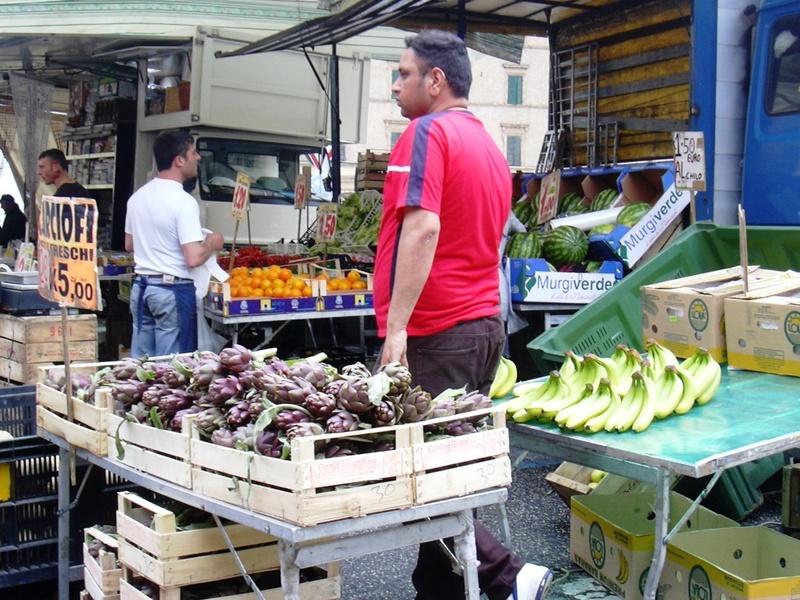 These street markets are one of the largest markets that I have been to in Italy, and I have been to many. 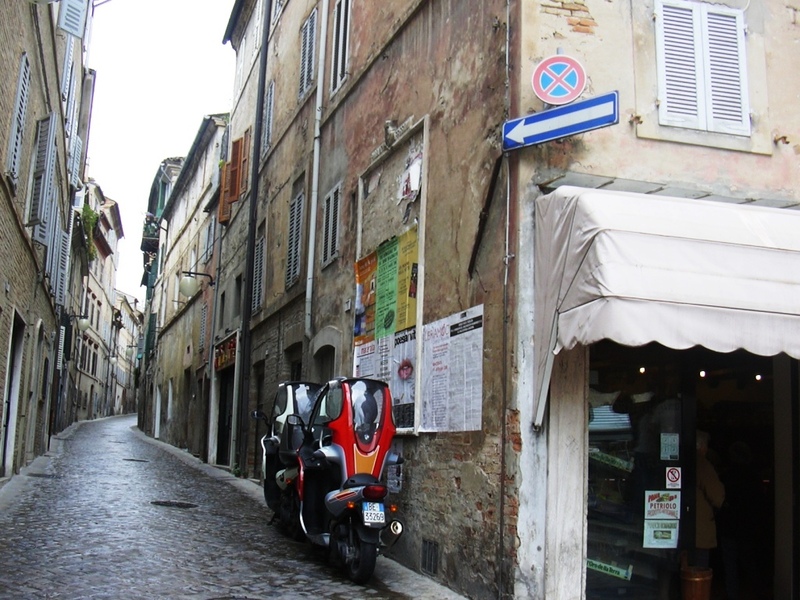 They fill up many up the streets which are terraced up the centre of the town to the top with stalls and punters . You can easily make it a full day outing. 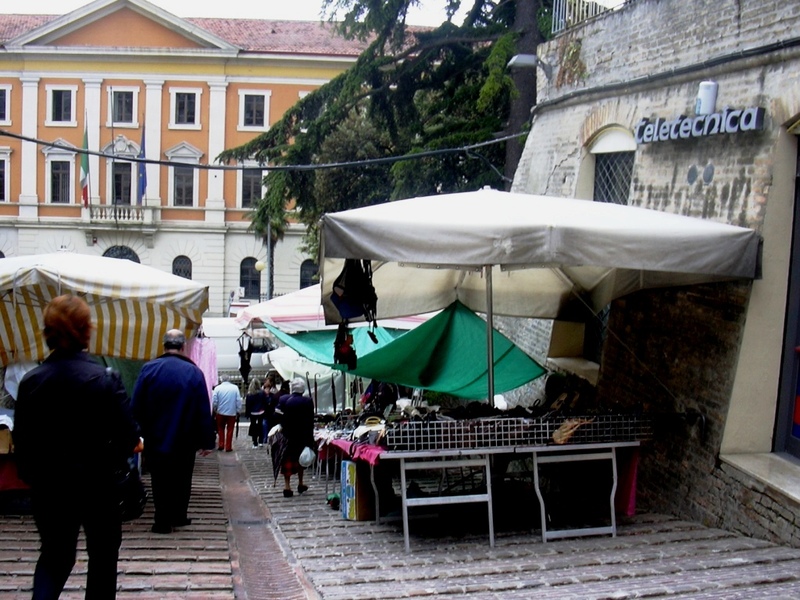 Here in these markets or street fairs you will find antiques, bric-a-brac, the not-so-old stuff that’s known in Italy as modernariato, and leatherwear, shoes, clothing and handbags, and of course many of the vendors selling lots of delicious foods. Late morning, we always stopped for coffee and cornetto at the top of the markets in a little café where we could relax, drink our coffee, look at our purchases and check our emails using the free WIFI. Later in the day we would choose another café or restaurant for a local lunch. 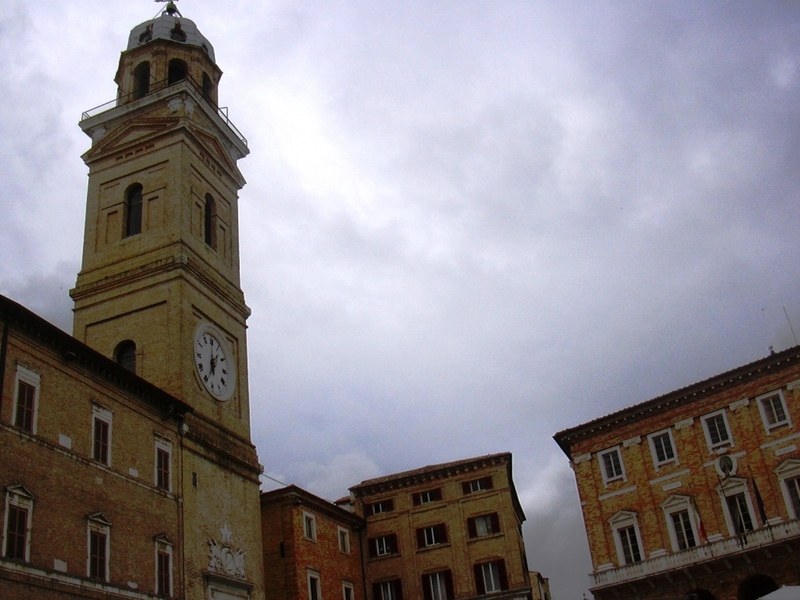 Macerata is a little-known provincial capital surrounded by Marche’s loveliest countryside. 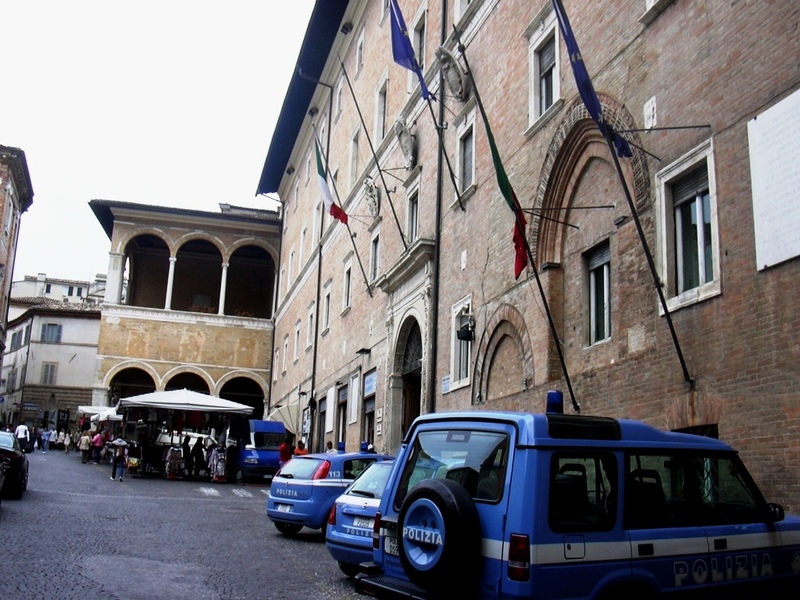 Its ancient university was founded in 1290 and has about 13,000 students. There is also an art school. And if you’re the slightest bit interested in contemporary art, Macerata has a gallery that alone is reason enough for visiting the town. This town is easy-paced and unpretentious, it’s an ideal place to wind down in the evenings after exploring the province. Everything looks so appealing at the markets. Wagging school is a cute term. There is so much to do and see over there. Looks like a good place to wag school! My kids usually hang out in Padova when they wag!